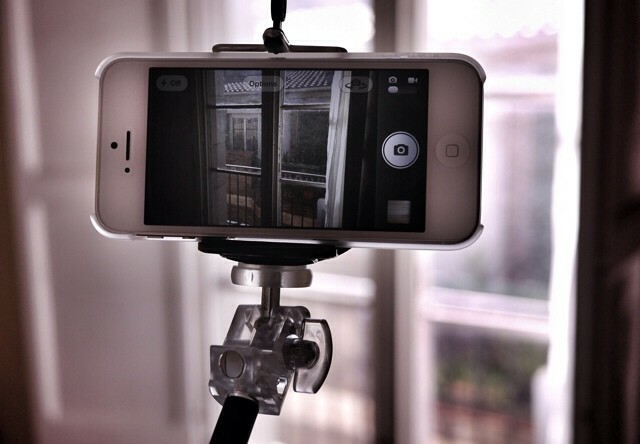 The iStabilizer is a combination monopod and camera/phone tripod adapter. It’s light, it’s sturdy, it’s mostly aluminum, and it’s pretty much ideal for occasional use. And it has one fantastic function which will probably get you arrested. The iStabilizer comes in two parts. The first is a steel jaw which clamps your phone between its rubber-lined jaws. This is my favorite tripod adapter so far because it not only works with you iPhone when naked or in a case, or even a small compact camera, it is quick to deploy. There’s no need for a special case, or to have the thing permanently attached. 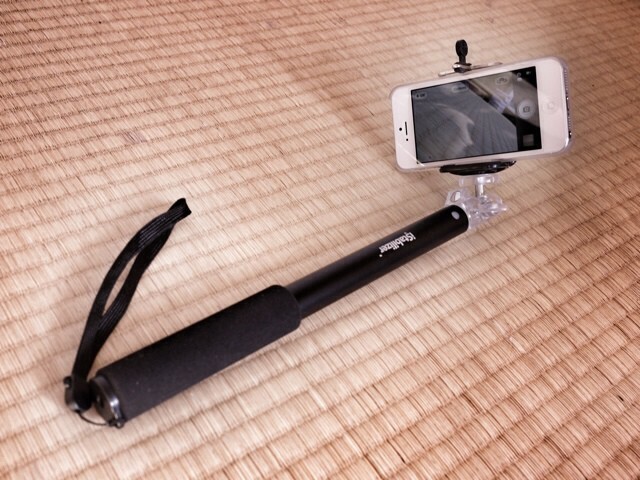 The second part is the monopod, which is cheap and cheerful. It features a regular tripod screw at the top which attaches to the clamp, and you can extend it from 14 inches to around three feet. It also has a wrist strap, although The Lord only knows why. This thing is light, it’s convenient, and it does what it’s designed to do. You can use the monopod to either steady your rig on a table, or to put the iPhone overhead, down low or use it to peek around corners. And with the built-in mirror on the bracket, you could even use it to frame highly accurate up-skirt shots, although this might be illegal in some (all?) jurisdictions. The clamp is trustworthy enough to dangle over the edge of a tall building. The jaw fits tight, and can be opened to 7cm (around 2.5 inches) by pulling on the rubber nubbin that acts as a handle. This can slip out, but works just fine. Extending is easy: just twist the foam-covered handle, pull out to the desired length and twist back to lock. Quick, and pretty secure once you get used to the action. While it won’t wobble, I suspect that the iStabilizer wouldn’t hold up to professional use. If you lean hard on it when used as a monopod support, it unlocks and starts to collapse. And the metal screw, which tightens the clamp on the ball head, seems like it might eventually crack the plastic which holds it. 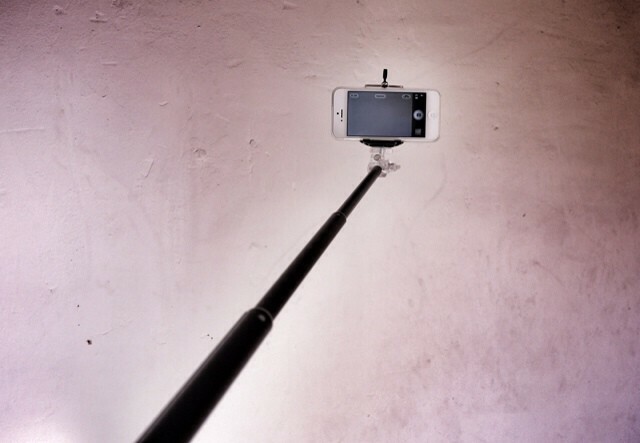 And if you really need a proper monopod, go buy one. Unless you’re a child or regularly get seasonal work as one of Santa’s little helpers, it’s going to be too short to reach your eye. At $35, I have mixed feelings about the iStabiizer. If you’re just using it from time to time, it is easily tough enough for you, but I have to wonder when it would be useful to have a monopod with a cellphone camera. And remember, if you’re going to use this is a kind of camera crane, then you’ll need an app which can be remote controlled somehow, as you can’t touch the phone. Folded, it'll match your umbrella. 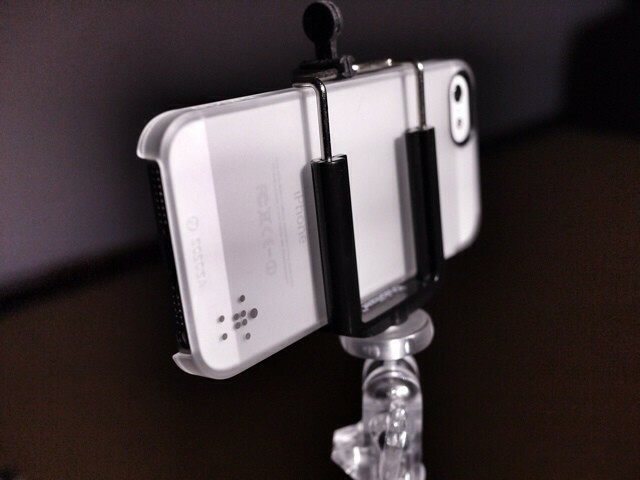 The mount, on the other hand, is dead handy, and would be my go-to solution for securing the iPhone to a tripod. In fact, you could pair this with a Joby Gorillapod for a great photography/movie-watching combo, and as the clamp comes separately for $20, you can do just that.